December 4, 2017 – PECB is pleased to announce a collaborative partnership with Clarionttech Services Nigeria, to bring PECB training courses in Nigeria. This partnership will enable both companies to strengthen their presence in the market by providing better access to their services, recognizing that both companies work to achieve the same goal. “Our success with Clarionttech Services Nigeria has allowed us to connect with our customers and deliver the services that they really want and need. PECB has built a strong reputation in the international market for its expertise and ability to develop and deliver training courses on many ISO standards,” says Eric Lachapelle, the CEO of PECB. “We are excited to partner with Clarionttech Services Nigeria and lend our expertise to help create better services for Nigeria market. We look forward to growing this partnership as market demand for ISO Standard Trainings continues to grow,” added Lachapelle. We are glad to partner with PECB in the provision of ISO Standard training and certifications. 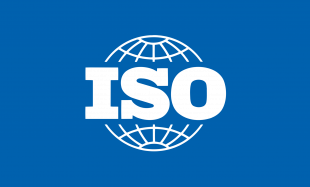 Our strong presence in major cities of Nigeria as a professional training and certification center has given us a large market share of individuals and cooperate bodies seeking ISO certification. Working with PECB in the provision of these services has opened unlimited doors to many Nigerians and is a source to fly high the brand of Clarionttech and PECB to gain more customer loyalty in the Nigerian Market. We help professionals and organizations to show commitment and competence with internationally recognized standards by providing this assurance through the education, evaluation, and certiﬁcation against rigorous internationally recognized competence requirements. Our mission is to provide our clients comprehensive services that inspire trust, continual improvement, demonstrate recognition, and benefit society as a whole. For further information regarding PECB principal objectives and activities, visit www.pecb.com. Clarionttech is helping many companies including multinationals reach accepted international Standard; We provide quality structure for companies and train ambitious individuals by teaching, inspiring and supporting them towards achieving their certifications. Our objective is to equip our students with the required knowledge and skills to pass their certification exams at one sitting to make them relevant to their chosen profession. This has given us an edge as an academy center. 0 responses on "PECB has signed a partnership agreement with Clarionttech Services Nigeria"